Michelle Walker (formerly Michael Wilkerson) is a lecturer in arts administration at O'Neill. She served as director of the Arts Administration Programs from 2015-18. Her professional interests include organizational behavior, board relations, and arts and public policy. She grew up in Indiana and worked in high school and college as a journalist. Walker became a creative writer, publishing short stories and teaching at the University of Wisconsin-Madison for three years before joining the IU administration as a speechwriter and policy assistant in academic affairs, diversity, and research in 1980. Over the next two decades, she taught classes in writing, literary interpretation, arts administration, and other subjects at IU, American University, DePauw University, University of Wisconsin, and the School of the Art Institute in Chicago. 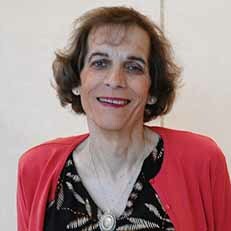 Walker has served in several capacities for arts organizations across the country including executive director of the Fine Arts Work Center in Provincetown, Massachusetts, and for the Ragdale Foundation Artists' Residency Program in Lake Forest, Illinois, as well as Coordinator of University Arts Initiatives at IU. Walker is founding chair of the Alliance of Artists' Communities and the founding editor of the literary magazine Indiana Review. In Bloomington, Walker has served as founding board president of Cardinal Stage Company and the Buskirk-Chumley Theater, coordinator of ArtsWeek, and board member of the Lotus Education and Arts Foundation. Walker is an elected member of the Board of Directors of the Association of Arts Administration Educators and has presented research at several AAAE conferences. “Using the arts to pay for the arts: A proposed new public funding model,” The Journal of Arts Management, Law and Society, 42 (3): 103-115 (2012). “Ephemeral perpetuity? Transforming endowments into annuities,” Blog entry in Stanford Social Innovation Review, March 8, 2012. New Territory (with D. Galyan). Bloomington, IN; Indiana University Press, 1990.